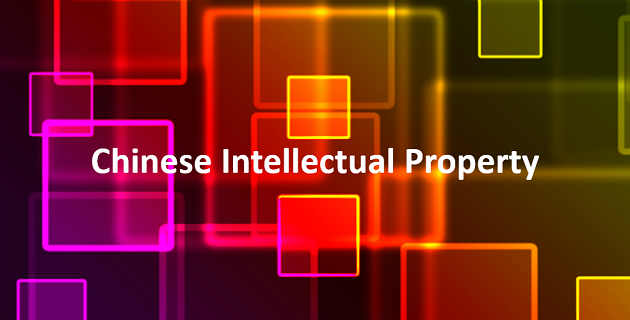 China has many issues with intellectual property rights and their enforcement. In reviewing intellectual property law with our Chinese legal firm, they point out that China only started developing Commercial and Civil law in the last 40 years. This is the first time China has had Commercial and Civil law in 4,000 years while the England, as an example, started developing these laws over 900 years. Given this historical lack of Commercial and Civil law in China local business has and still take advantage of this saturation creating many copies of Chinese and international products and brands. While China is a member of world-wide trading agreements which protects your IP sense 1979, given the size of the IP right infringements Chinese authorities do not have the resources for enforcement. By having the IP registered in China the enforcement becomes a local not an international IP rights enforcement. This allows enforcement between Chinese companies and Chinese legal firms without often involving Chinese authorities. Chinese people / businesses understand that if you have the correct paper work then the IP can be enforced and therefore the rules and regulations are followed. No company or person in China (or world-wide) wants to involve local authorities in legal conflicts. Note: Trademark law is often referred as brand registration in China which is the processes of registrating your Trademark. e.g. Trademark registered in the EU, USA, etc. is not generally protected in China and therefore will need registering in China. If you are manufacturing in China, you will be training and creating a production line for products and brands. If you do not protect the trademarks, patent, etc, the factory will be able to sell your products and use your brand name throughout China legally. Once your IP rights have been correctly registered in China they can be successfully enforced. All IP registrations will need renewing every 10 to 15 years depending on type of registration, i.e. trademarks vs patents. Please take advice in your local country. We recommend starting with trade organisations. In the UK this would be Chinese British Business Council (CBBC) and British Chamber of Commerce. They should have list of local businesses that specialise in Chinese IP. If your business has products / services which would be of interest to Chinese / international market protecting your IP, specifically trademarks, in China is strongly recommended. Chinese trademark registration, is often called brand registration; logos, company, brands, products names, etc. Having your interest protected outside China, including Hong Kong, will not protect your interest in China. if your IP is registered in mainland China does this cover Hong Kong? if your IP registered in Hong Kong does this cover mainland China? At the time of writing this paper this was the case. In recent years the Chinese authorities have encouraged Chinese companies to register their trademarks. This has resulted in many trademarks being registered in China by Chinese companies which are coping existing overseas brand names. This has been causing problems for overseas businesses that have registered trademarks in China. Once you have registered a trademark in China it is then illegal to copy and trade using the trademark in China regardless of any registration outside China. Make sure your trademarks are in your company name regardless if you own a Chinese company. Do not allow a third partly company own your trademark regardless of any agreement. The best solution is to register your brand names, logos product names, etc, at the outset before you involve any parties inside / outside China. If you wish to allow an organisation in China to use your trademark you can give written permission but make sure you include detailed terms and conditions in an MOU format (Memorandum of Understanding). Appoint an agent from your own country, with a successful track record of Chinese trademark registration. They in turn, will appoint a Chinese agent; only a Chinese licensed agent can make the application to the Chinese authorities. By using a local agent from your own country means you will be working in your local language and under the trading terms of your country. Your local agent, should also have access to the trademark registration database in China and therefore will be able to make checks on what is already registered. This will save time and money with trademark submission for trademarks already registered in China. You can appoint a local Chinese agent directly. This is only recommended if you know the Chinese agent directly and have a successfully trading relationship. The trademark registration is straightforward processes in China. Get the trademark ownership wrong and it can stop you trading in China and the loss of any investment you made in China. Your local agent will handle this matter. Please make sure all the information is correct including the spelling, fonts, etc. Before submitting make sure you are not using words in the trademark name that are not allowed or will need further supporting documentation. E.g. country names, “British”. You will be required to select international trademark class(es)s for your submission. There is a cost per code. Your registration will be protected within these class(es). Another company can use the same registration with difference trademark classes. e.g. Access to China class 38 (Telecoms) and 42 (IT Services); Another organisation could Access to China class 43 (hotels). Both organisations can use the trade make Access to China only its classes stated in the registration. This submission must be accurate. Being 99% right is not enforceable in Chinese trademark law. Get the papers checked thoroughly before submission. The information submitted will be reviewed by the Chinese authorities. This is comprehensive and takes up to three months to complete. The Chinese authorities can reject the registration request. They will give their reasoning. If it is for missing information this can often be corrected. If a change to the brand name spelling, etc, is required then a new submission / money is often required. You can start using the trademark in China knowing it is protected as soon as you have agreement and the paper work from the Chinese authorities. Once a trademark registration is accepted there is a two year “cooling off period”. During this period any party can challenge your registration. While it would be unlikely that the challenge would be successful, there are no guarantee and it could result in time and money to resolve. Once the two years has been past the trademark can no longer be challenged unless you stop using the trademark in China for over three years. Depending on the type of registration you may be required to renew every 10 to 15 years. If you do not use / trade your trademark in China for three years an application by another business / person (Chinese or international) to take over your trademark can be accepted by the Chinese registration authorities. Please make sure you have a full understanding of the renewal process, rule and regulations, etc, before you completing your trademark registration with your local agent. Stop Chinese and international companies and people using the registered trademark in China. Use of your trademark on the internet, e.g. e-Malls, social media, etc. On request, the Chinese platform must take down any use of your trademark who do not have your written consent. You may have done the research of use of your trademark as part of your submission to the Chinese platforms. Request domains using you registered trademark to be closed. Stop / control factories reproducing your trademark. Please note: - This has to be performed proactivity. This will not happen by default. At this stage of the processes we recommended, if enforcement is needed, use a local Chinese legal firm. If most counties, a local legal contact is far more successful than an international firm. Chinese vs Chinese works faster. It most cases a simple letter for the Chinese legal firm will force the issues. There is a little you can do if your trademark is already registered in China. This why it is so important to start your trademark registration as soon as possible. If the trademark is in first 2 years of registration you can appeal to the Chinese registration authorities. This is not normally successful. If the Trademark has not been used in China for the last three years, and if you can prove this is the case, you can apply to take over the trademark. Purchase the trademark registration. This is often expensive. Make sure your trademark is registered outside China so you a stop copies of your brand, products, etc been exported into your existing market. Create a different trademark name for the Chinese market. This can create an opportunity for a meaningful trade name for the Chinese market. This process, in the main is the same processes at trademark registration. Please review patent registration along with Chinese license products. You can register software in China which protects it from cloning. This is achieved by giving your first and last 10 to 30 pages of your program coding to the registration authority. You do not give a full copy of your system coding. This generally does not protect your software from reverse engineering. This is the case with most software world-wide. Copyright is one of the hardest to enforce in China. We do recommend a Chinese registered trademark on all your copyright material. It will should clear ownership. We recommend take advice / joining professional trading organisations from an appropriate industry i.e. music, books, film, etc.